Highly rated sprinter Nature Strip is one of many horses reported to moving from Darren Weir’s yard. Many horses are on the move from Darren Weir’s stable with owners scrambling to find suitable trainers to take over. Weir is fighting for his career after being charged with possession of electronic devices, commonly known as jiggers, and asked to show cause why he should be allowed to continue training pending the inquiry. A five-time Victorian champion trainer and Melbourne Cup winner, Weir and his assistant, licensed trainer Jarrod Weir, were arrested on Wednesday after Victoria police and Racing Victoria stewards raided stables at Ballarat and Warrnambool. After beginning a show cause hearing on Friday, RV stewards ordered horses trained by the two to be scratched over the weekend. 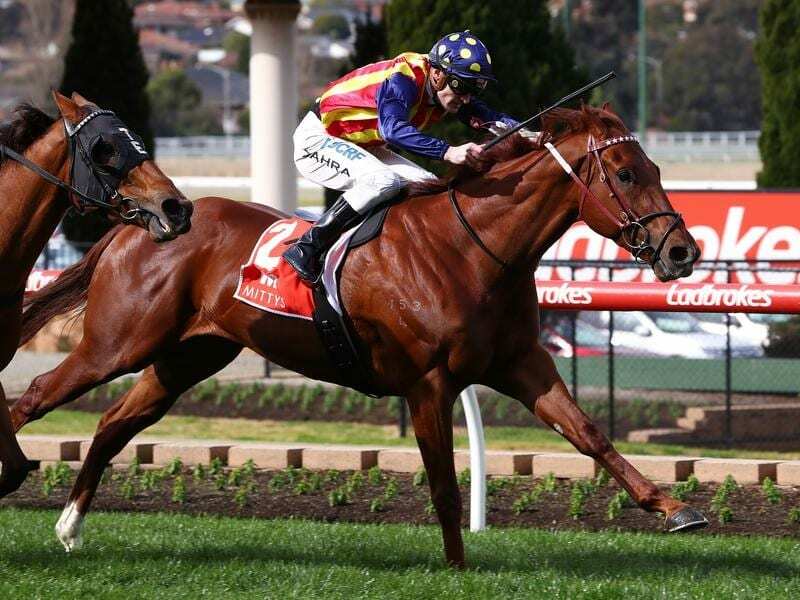 They included Nature Strip, the odds-on favourite for Saturday’s W J Adams Stakes at Caulfield who is now slated to join the Chris Waller stable. Sydney’s premier trainer said nothing had yet been signed regarding the transfer of any horses and he would travel to Melbourne on Monday. “I have had calls from people but I will know more when I go down there,” Waller said. Waller operates stables in Sydney, Melbourne and the Gold Coast. Newcastle trainer Kris Lees confirmed Group One winner Brave Smash was headed to his stable and he expected more to come from Australian Bloodstock, one of his major clients. The show cause hearing will continue in Melbourne on Monday afternoon. The trainers will be able to nominate horses as usual on Monday morning for upcoming meetings but an unfavourable result at the hearing would mean they would need to be transferred. Racing NSW has given Weir until Tuesday to respond to a show cause notice regarding running horses in the state.